Woman’s Hour ran a fascinating interview today with novelist Kishwar Desai, about India’s burgeoning surrogate baby industry. Her exploration of this massive business (an estimated 20,000 babies produced each year) seems to differ from Margaret Atwood’s The Handmaid’s Tale only in that she is chronicling a dystopia that already exists. This piece is updated since it appeared last week in The Big Issue, exploring the connection between science fiction, political and market forces and women’s fertility. Why does some science fiction still chill and engage us while other works are obsolete almost before they are finished? Take two tales of aliens landing on the village green and, after an eery silence, wreaking havoc on Middle England. HG Wells’ 1898 novel, The War of The Worlds, sees Martians landing on Horsell Common in perfectly-evoked late Victorian Surrey. 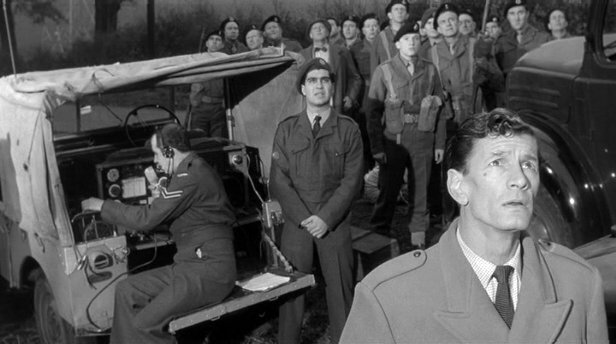 What is timeless and haunting is the horror of humans finding themselves puny against cold and ruthless invading forces, the evocation of mass panic as tens of thousands of Londoners attempt to flee the city under aerial bombardment, and the rapid collapse of civil order in wartime. Despite an almost identical premise, The Midwich Cuckoos, written almost 60 years later, by another prolific science fiction writer, John Wyndham, proved obsolete within a decade of its 1957 publication because of its central premise — that a pregnant woman in the modern world could under no circumstances have an abortion. 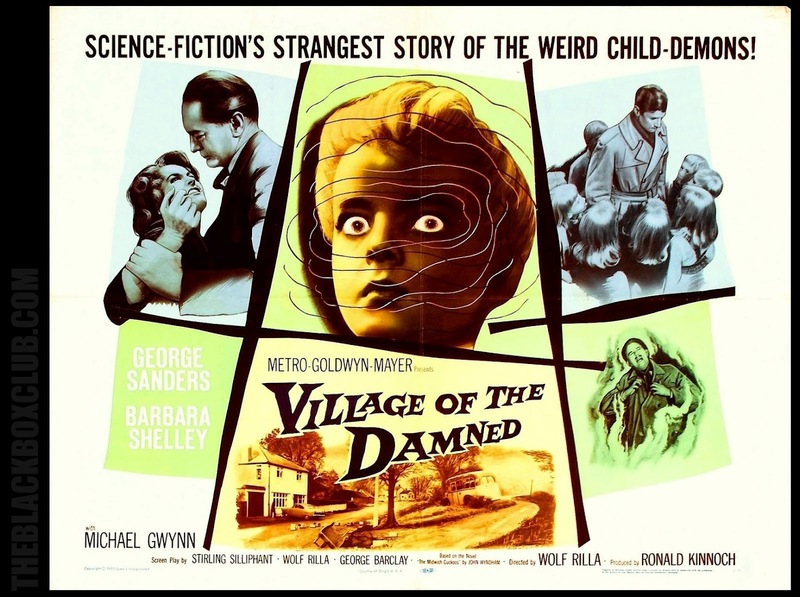 It’s been filmed twices as Village of the Damned. In the novel, aliens land, wipe the memory of the entire village before they depart, and leave every fertile woman, to her extreme distress, impregnated — from the middle aged lesbian to the youngest teenage girl. Once born, the alien babies, acting with a hive mind, quickly reveal terrifying powers. The book is superficially full of challenging moral dilemmas. Much of it is taken up with the male authority figures — doctors, generals, government officials — debating at great length the ethics of murdering the growing children, or bombing the whole village, including the innocent locals. The intended shock is, to a modern reader, completely undermined by the characters’ inability to consider the more obvious and in some ways simpler ethical dilemma of abortion. 10 years after publication of the novel, the 1967 Abortion Bill was passed. Political pressure for the change would have been building for years. Safe abortions were available to the rich and privileged. Sympathetic critics say censorship at the time meant Wyndham has to bury hints in the text — a couple of women clearly attempt to harm themselves to abort the foetuses. But overall the book is trapped within the rigid social framework of its time. Perhaps the most chilling aspect of The Midwich Cuckoos is its cold vision of a Britain in which middle class male bureaucrats do the thinking, while women are regarded as helpless incubators, who must carry their alien brood to term.They are watched by a collection of scientists and government officials, who seem more concerned with The Official Secrets Act and keeping it out of the papers. HG Wells by contrast was all uniquely aware of the dangers of people being trapped in the ideological mindsets of their own time. He invented futurology in a famous 1932 BBC radio interview. Instead of the academic obsession with history, he called for universities to appoint “Departments and Professors of Foresight” — to ponder every possible impact of scientific advance — the known and the unknown unknowns, if you like. Many moralists warned of disaster where many other Britons saw benign progress in abortion rights and the world’s first “test tube” baby. Could professors of foresight have helped avoid some of the uglier results? What would Wells and Wyndham have made of a world in which the opening up of communist states to free markets often coincided with a drive to crack down on abortion rights, as in Poland? A world in which ageing couples from prosperous nations such as ours, buy eggs and rent wombs off poorer younger women (often in less regulated countries, such as Russia, Spain and most notoriously India) in pursuit of a “natural” family of their own. Indian novelist, Kishwar Desai, who previously tackled abortion and infanticide, has turned the spotlight on the poor, often illiterate women exploited as surrogates for wealthy and often Western consumers. (See further reading/listening link below) The backlash in the UK against ending blanket sperm and egg donor anonymity revealed the power of the adults who felt human rights applied only to them or their patients, not the children, created by such technologies. This technology’s ability to keep alive foetuses as young as 22 weeks, has also created ethical challenges to the term limits of legal abortion as well as the ethics of “saving” extremely premature babies, left permanently brain damaged or disabled as a result. Most importantly, it has revealed that many supposedly civilised people are willing to throw ethics away very quickly when offered a chance through fast developing technology coupled with poor state regulation, to exploit the vulnerable and buy what they want. I imagine Wells, a prominent feminist, would probably have noted with a wry smile the hypocrisy of the North’s obsession with the “right” to have children, while fretting about the “overly” fertile South. The respected naturalist David Attenborough is only the latest public figure to again express his grave concern at overpopulation. Educating women in the developing world is welcome, he recently told one interviewer, because they will have fewer children. In an interview about Ray Bradbury last night, Margaret Atwood told me how both Fahrenheit 451 and her own The Handmaid’s Tale made the link between illiteracy and control. One way or another, women’s role as incubators seems to be an enduring scientific and political obsession. This entry was posted in Books, Children, Culture, Film, Politics, Science, Uncategorized and tagged 50s, 60s, abortion, aliens, books, cinema, culture, film, HG Wells, John Wyndham, literature, Martians, science fiction, zombies. Bookmark the permalink.